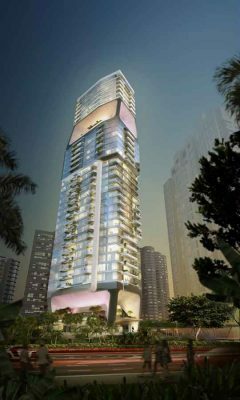 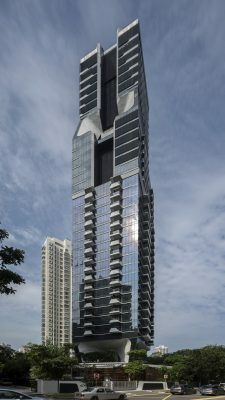 The Scotts Tower SOHO apartment building is situated on a prime location in Singapore, close to the Orchard Road luxury shopping district and with views encompassing both nearby parkland and the panoramic cityscape of Singapore City. The 18,500m2, 31-storey, 231-unit tower consists of 1 to 3-bedroom apartments and 4-bedroom penthouses, along with expansive landscaped gardens, sky terraces, penthouse roof gardens and a variety of recreational facilities. 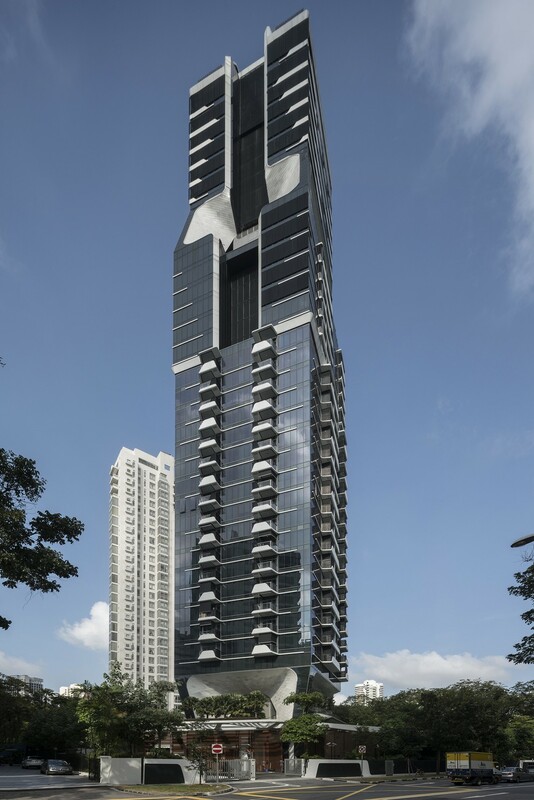 The concept of The Scotts Tower is that of a vertical city incorporating a variety of residence types and scales. In addition, outdoor green areas in the form of sky terraces, penthouse roof gardens and individual balconies form an important element of the design. The vertical city concept is interpreted on the tower in three scales; the ‘city’, the ‘neighbourhood’ and the ‘home’. The three elements of the vertical city concept, along with the green areas, are bound together by two gestures: the ‘vertical frame’ and the ‘sky frames’. The vertical frame organises the tower architecturally in an urban manner. 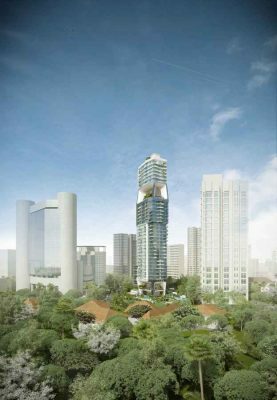 This frame affords the tower the vertical city effect by dividing the four residential clusters into different neighbourhoods. 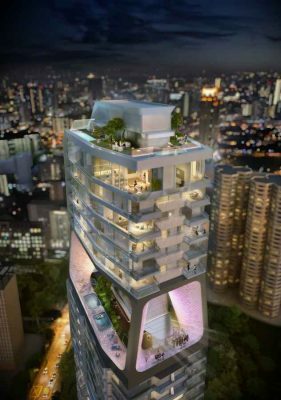 The four residential clusters that are stacked on top of each other are each designed for versatile and customised living. 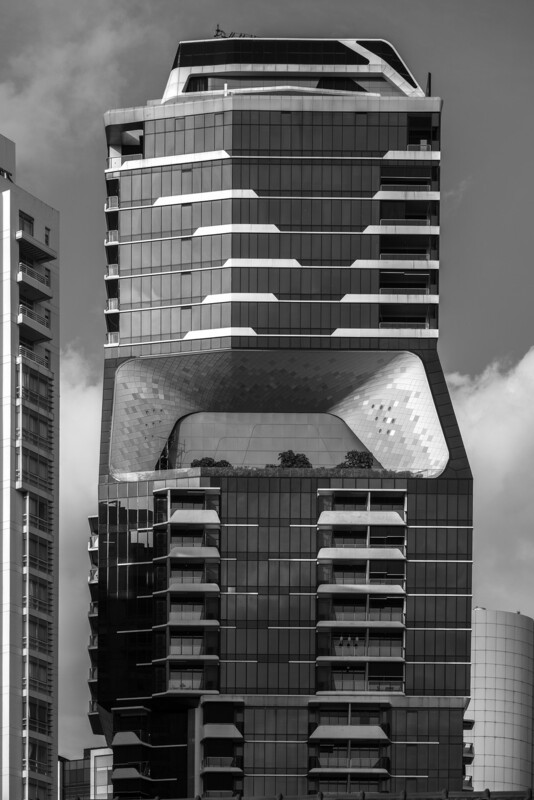 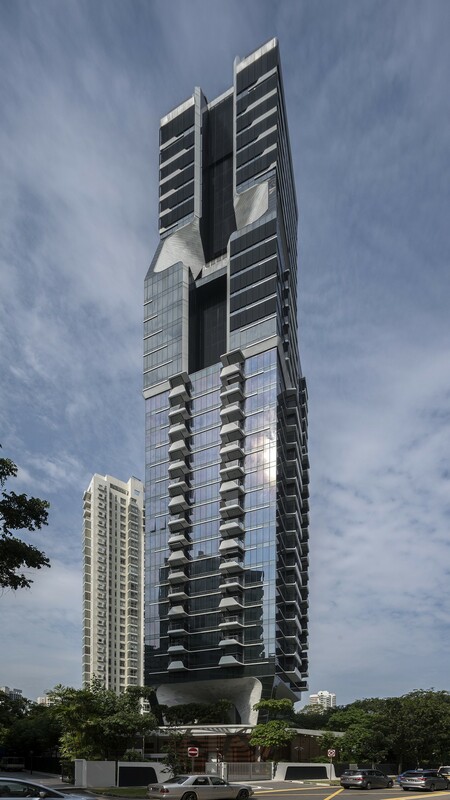 Situated above the lower sky frame, the one bedroom City Loft residences pixelate the lower tower. 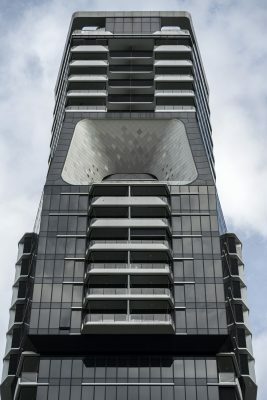 The second cluster of the City View units (two bedroom apartments) face the adjacent Goodwool hill on the lower part of the tower and continue above the first package. 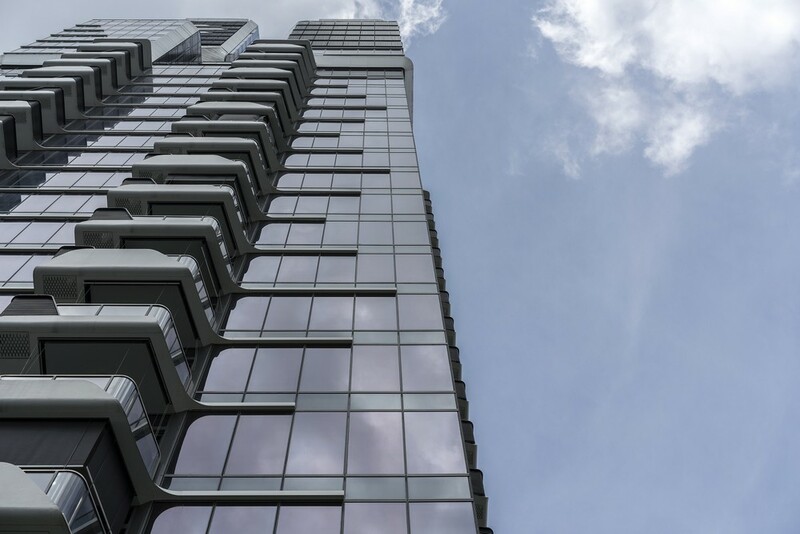 Park View units form the next cluster, above the second sky frame. 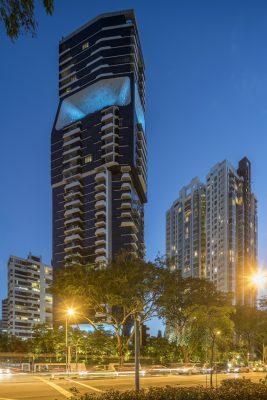 Crowning the tower is the final cluster containing three exclusive Penthouse residences that also have private rooftop terraces. Individual identity is given to each unit by means of type, scale, distribution and articulation of outdoor space, along with the possibility for personalisation of the interior layout. The nearby green area to the West of the tower is extended into The Scotts Tower site initially by means of a ground level landscape concept designed by Sitetectonix. 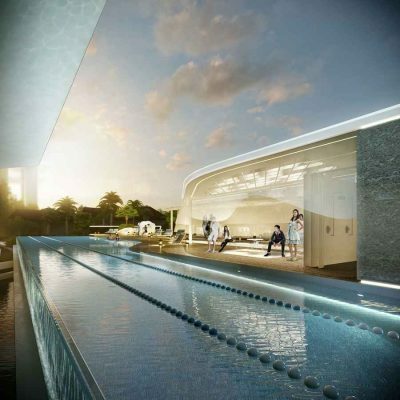 This ground level concept incorporates a multi-layered environment which links together the different zones and recreational facilities available to the residents. Recreational facilities within the gardens include a 50 meter lap pool with sun deck, a children’s pool, a wellness pool, dining & BBQ pavilions, a meeting pavilion and massage and gym pavilions. A green gateway to the residences is created by the lower sky frame terrace, the ‘sky lobby’, which is located eight meters above the access routes to the building. 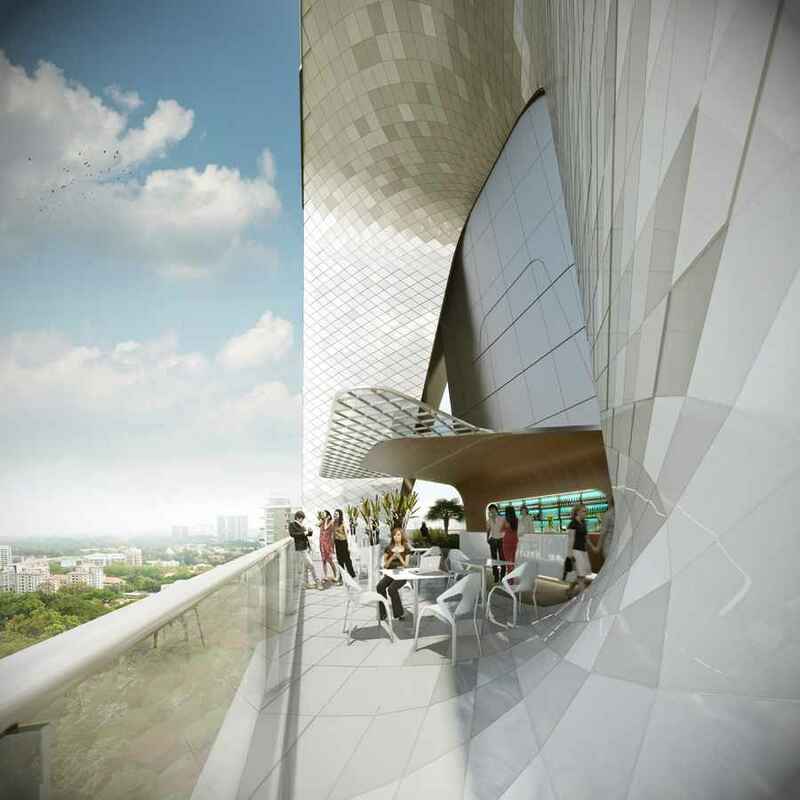 This terrace serves to continue the natural landscape of the gardens vertically into the tower. 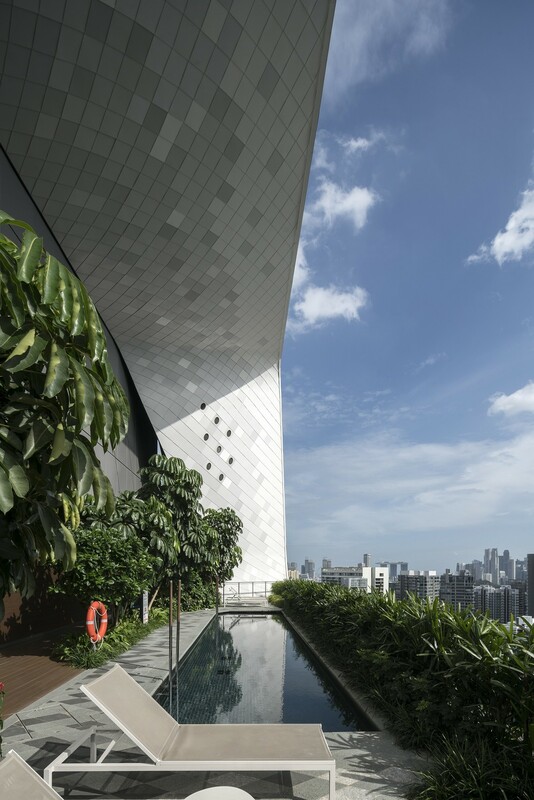 A second sky frame terrace, the ‘sky garden’ is introduced above the third cluster, offering panoramic views and the possibility for use as a social platform for outdoor events. 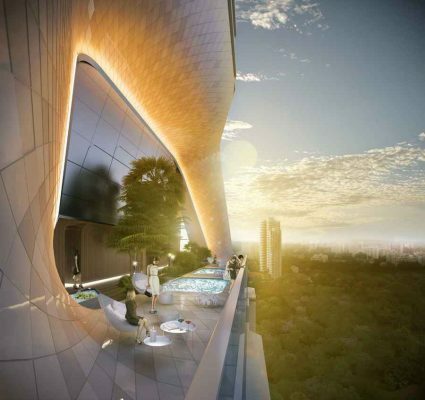 Facilities such as Jacuzzi pools, a swimming pool and a dining deck can be found on the sky garden level. 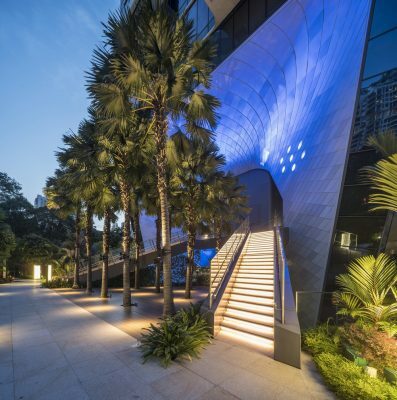 A verdant landscape unifies the communal outdoor spaces. 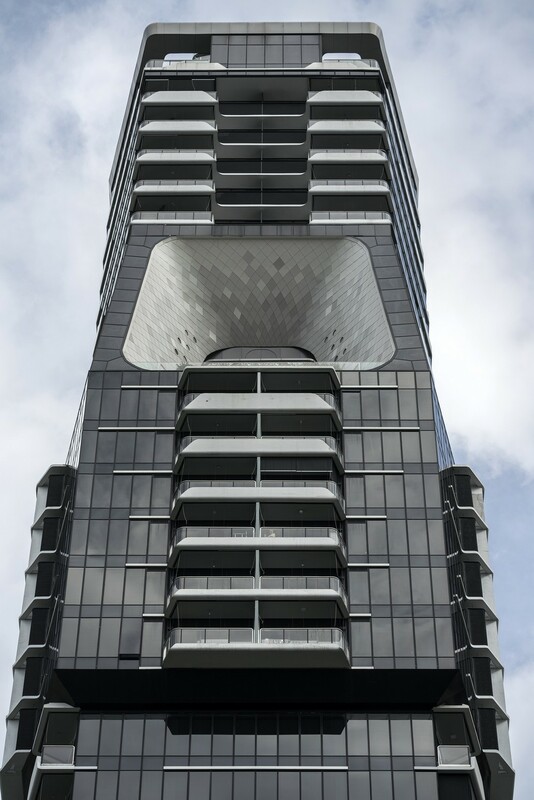 An extension of this quality, through the use of natural materials, was the primary design intention for the lift lobbies of the tower. 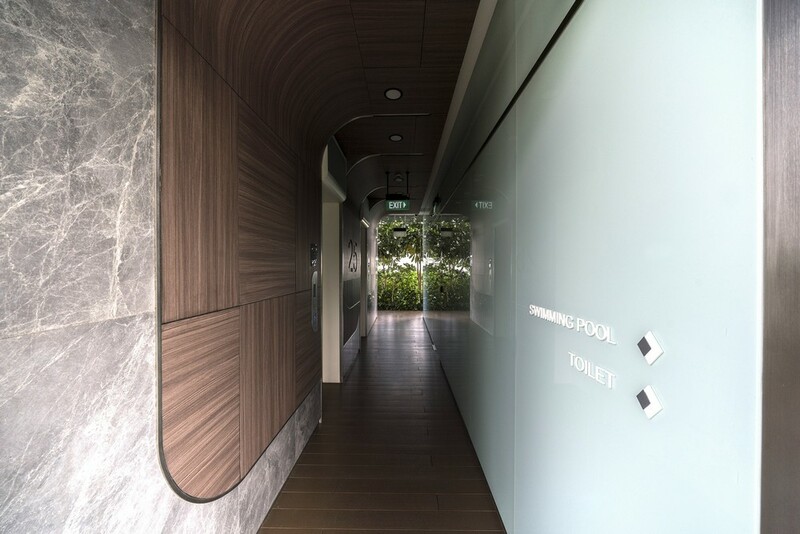 The two main elements of the lobby spaces are the warm wooden ribbons and the elegant marble floors. These elements clad the primary parts of the lobbies (lift entrance walls and circulation) in order to create emphasis, while the technical cores are clad with white back-painted glass to reflect and enlarge the space. 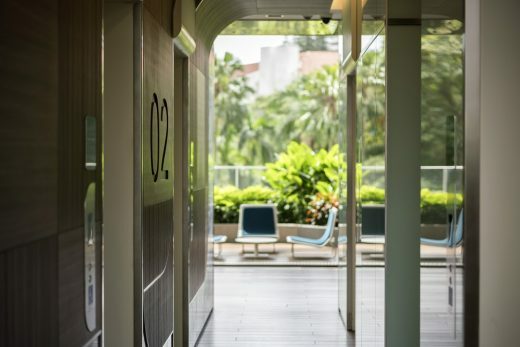 Marble tiles (90x90cm) are arranged on the floor in a random pattern and extend upwards on the lower part of the lobby walls to extend the space. Above this, curvilinear wooden ribbons fold on to the ceiling and span across the lobby, connecting both ends and introducing motion and residential warmth into the space. 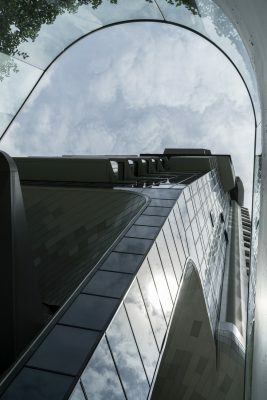 The soft curves that characterise the wooden ribbons used throughout the lobbies link to the language found on the exterior of the tower and the white metal frame in particular. 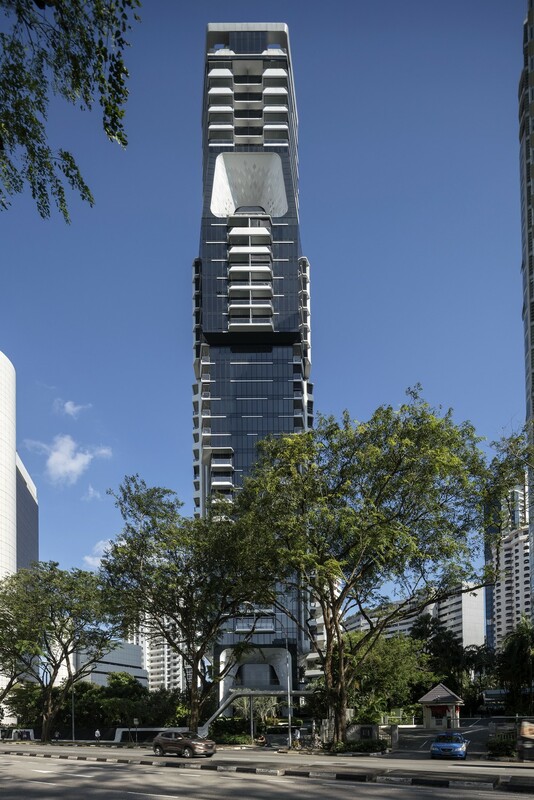 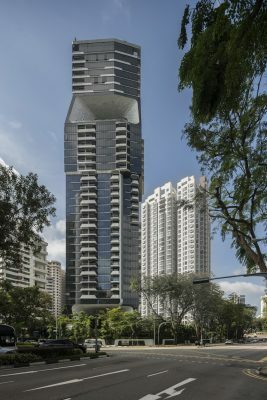 The recently completed Scotts Tower residential building at 38 Scotts Road is situated on a prime location in Singapore, with views encompassing both nearby parkland and the panoramic cityscape of Singapore. 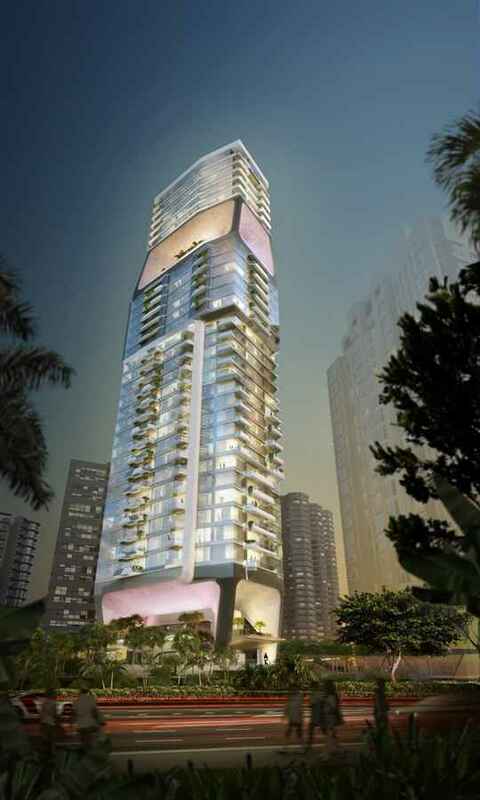 The design concept of The Scotts Tower is that of a vertical city incorporating a variety of residence types and scales. The tower is divided into four different residential clusters, denoted as ‘neighbourhoods’. Within each of these neighbourhoods, individual identity is given to each unit by means of type, scale, distribution and articulation of outdoor space and the possibility for personalisation of the interior layout. 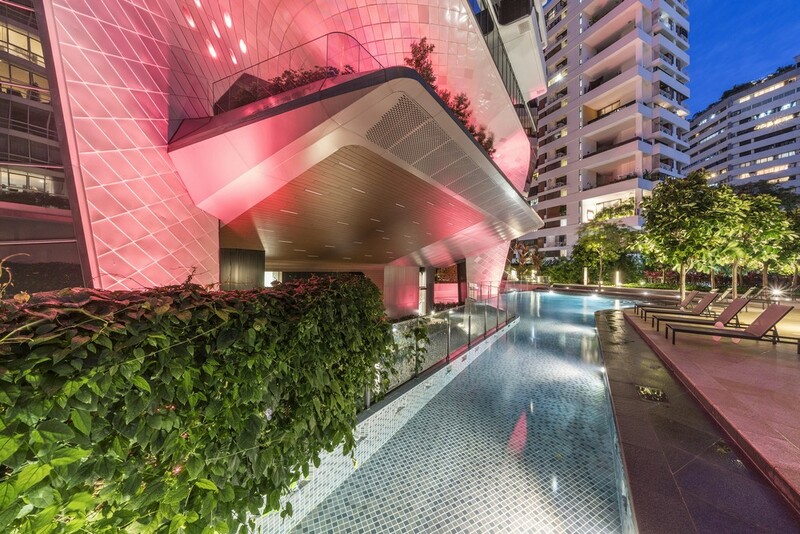 Terraces unique to each unit type further enhance the personalised feel. 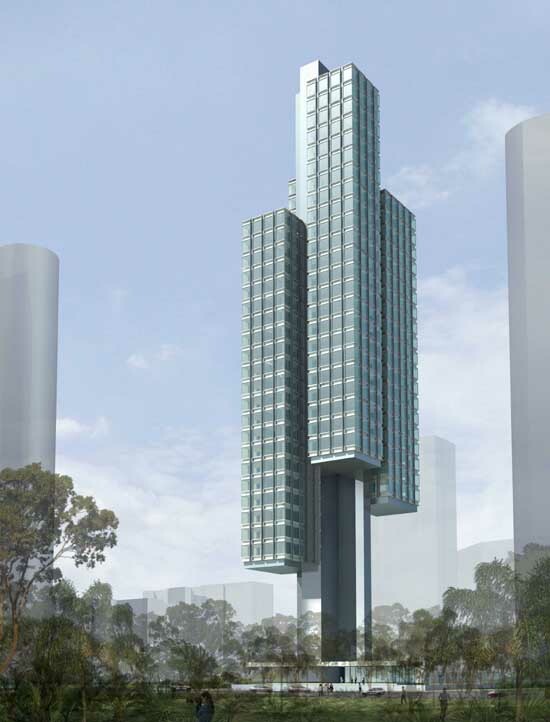 The vertical city concept along with the green areas are bound together by two gestures: the ‘vertical frame’ and the ‘sky frames.’ The vertical frame organises the tower in an urban manner. It unites the tower into one ‘vertical city’, but also provides clear distinctions between the four residential clusters, providing the neighbourhood effect. 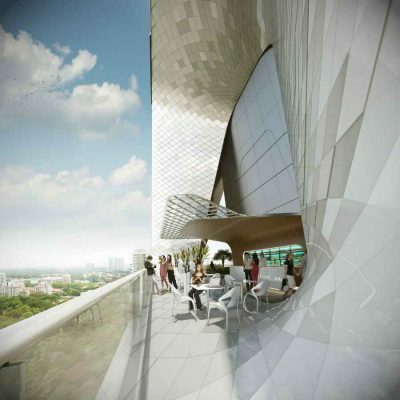 The sky frame – at the lobby (level 1 and 2) and sky terrace (level 25) – organise the amenity spaces and green areas of the tower and provide areas with panoramic views. The communal nature of these spaces also encourages interaction among users, enhancing the neighbourhood concept. 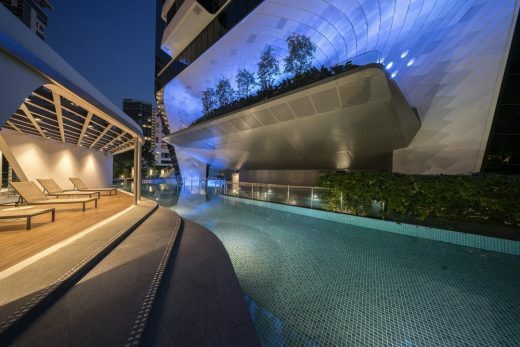 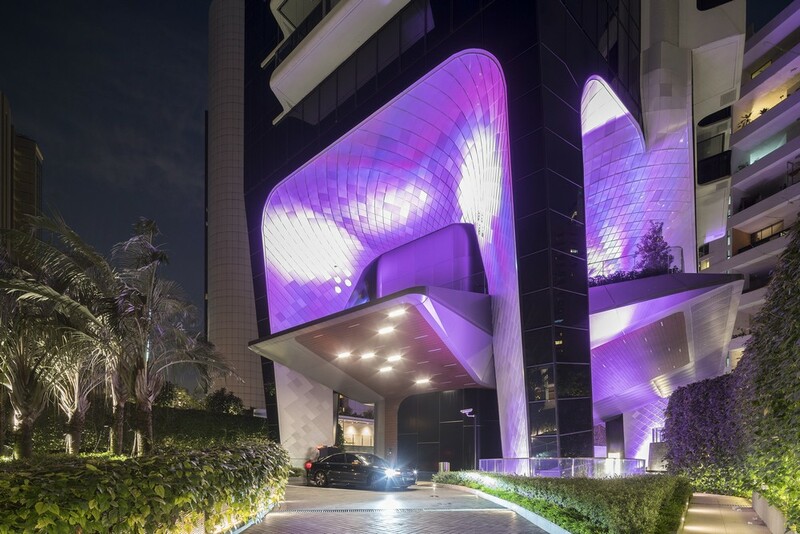 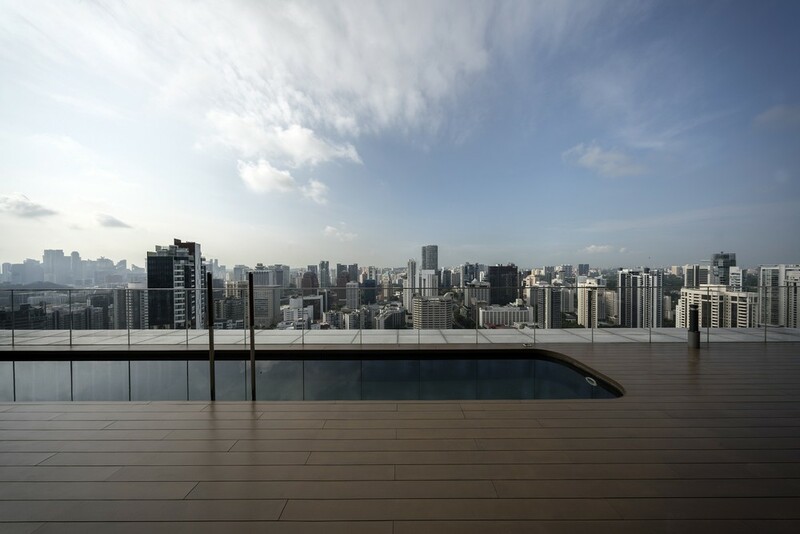 Singapore-based architect: DP Architects Pte Ltd.